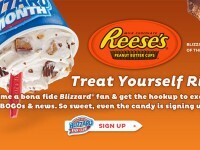 As we enter the autumn months, the Dairy Queen Blizzard of the Month will now trend to more seasonal flavors. 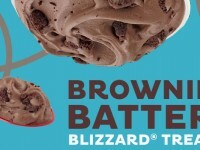 In September, the featured Blizzard will be Pumpkin Pie. 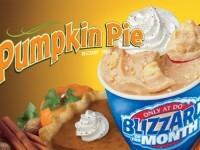 The difference with this year is Pumpkin Pie will be the Blizzard of the Month for both September and October. If you don’t remember from last year, the pumpkin pie Blizzard features pieces of pumpkin pie blended with the regular DQ soft serve, and topped with whipped cream and nutmeg. 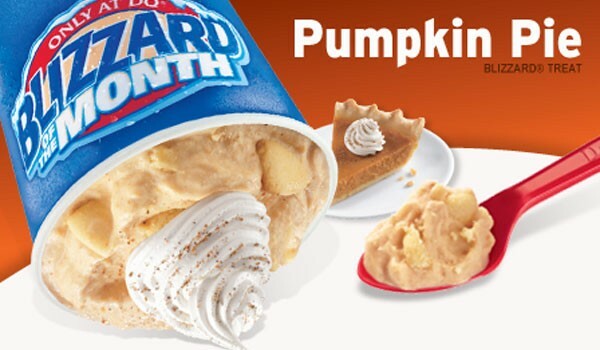 I’m not a huge pumpkin pie fan, so I’m hoping for DQ to bring back the apple pie blizzard this season, or better yet, the Reese’s Peanut Butter Cup pie Blizzard.